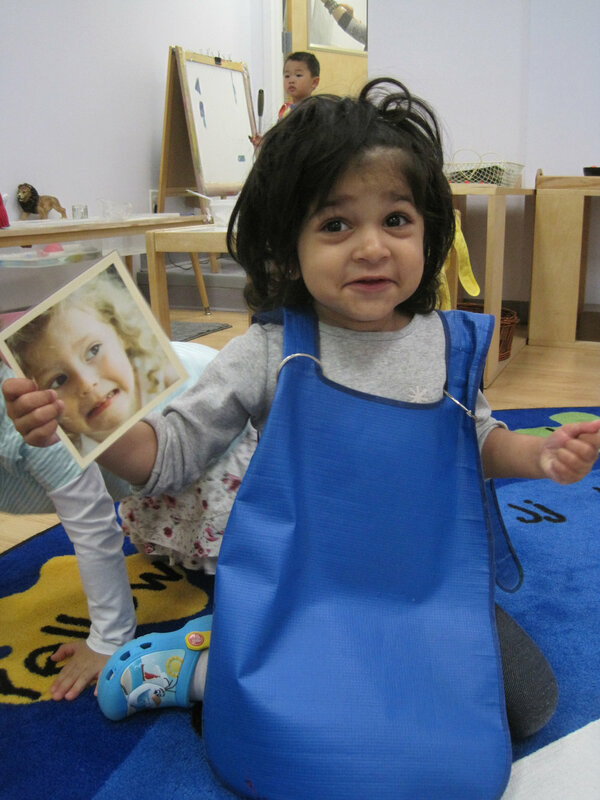 Recently, the Toddler 1 students have been exploring Feelings Cards. Developing an emotional vocabulary is an important tool for young children. Not only does it help to identify and name the feeling they may be experiencing, but also aids in the ability to ‘tune in’ to what others might be feeling. 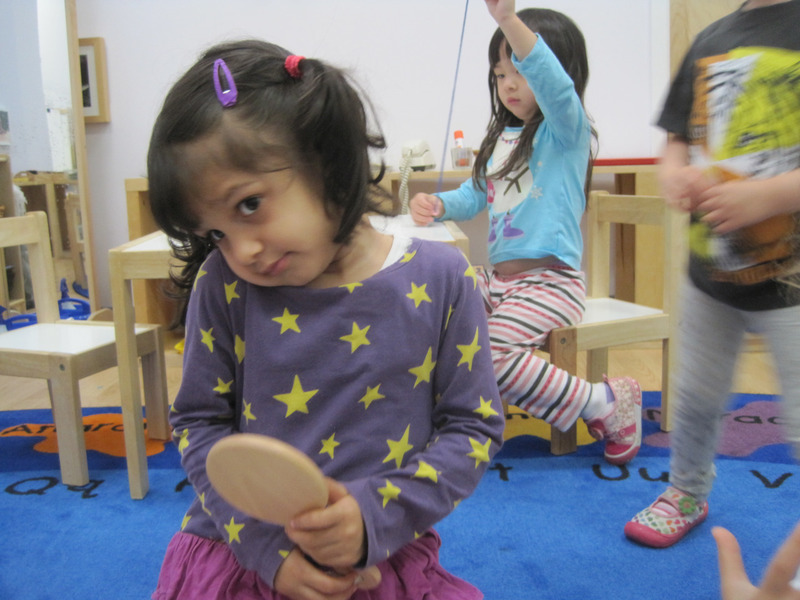 Some students use this material quietly on their own, practicing to create each expression in a mirror. Others enjoy working with a friend, trying to guess the feeling the other is expressing on his or her face. Besides more obvious emotions like happy or sad, they are now learning to spot more subtle feelings such as frustrated, scared or shy.